Should Democrats start to take her seriously? Time for Democrats to Run Against Sarah Palin? Public Policy Polling looks at undecided voters nationally and finds they are “pretty ambivalent” when it comes to their feelings about President Obama: 44% of them approve and 44% disapprove. However, when it comes to Sarah Palin a stunning 65% have an unfavorable opinion while just 17% who see her in a positive light. 'Jack' on Sarah Palin and BP……..
You dont believe he will? 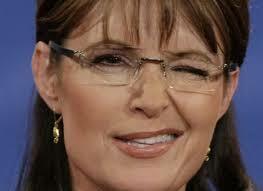 ‘Jack’ on Sarah Palin and BP……..
Sarah Palin….Watch out for those 'mama grizzlies'! The media love her as the woman that keeps giving……. She’s all over the place today with another one of her ‘Sarahism’s’…..
Sarah Palin rallied “mama grizzlies” in Washington on Friday, telling female activists they can defeat Democrats this fall. “Washington, let me tell ya, you no doubt don’t want to mess with moms who are rising up,” she said. “I always think of the mama grizzly bears that rise up on their hind legs when something’s coming to attack their cubs. The former Alaska governor called Barack Obama “the most pro-abortion president to ever occupy the White House” when she addressed the Susan B. Anthony List’s (SBA) annual fundraising breakfast. The SBA works to elect women who do not support abortion rights. Palin was greeted with a standing ovation and received thunderous applause several times throughout the speech. She told the crowd the Obama administration promoted a “disrespect for life” by pushing the healthcare reform bill. Palin remains a media creature….that is very popular out there in the ‘hustlings’……One should not discount her in any way, shape or means for 2012…..
Sarah Palin….Watch out for those ‘mama grizzlies’! Things must be getting a bit sideways for him…. 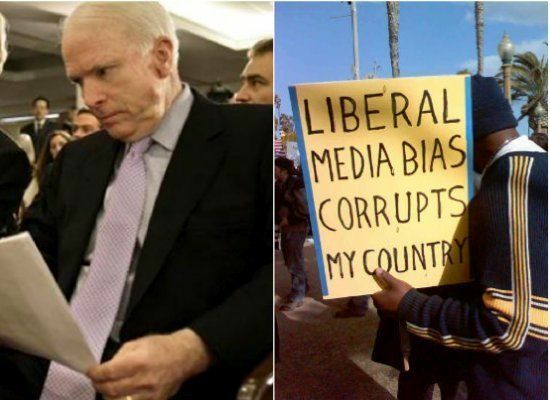 But watch for those Tea Partiers….McCain has been in the senate for how long? Not a good thing these day, eh Daniel? The Republican Senator also said that while he senses voters’ “frustration and anger,” he doesn’t believe the sentiment has “translated for support” for his conservative primary opponent J.D. Hayworth. “But I don’t see that translated for support for any opponent of mine,” he said confidently, adding that tea party groups in his state said that they would stay out of his primary. 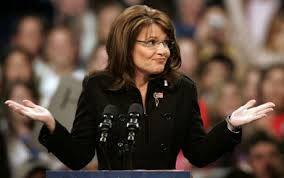 Some people over at Politics1 thought that Sarah Palin was a one hit wonder…..
She may sound folks and dumb…. Since she left the confines of the Alaska Governorship…..she has had a whirlwind ride…..that has paid her bills and made her and her family millionaire’s…..
Not too bad for a grandmother from Alaska, huh?